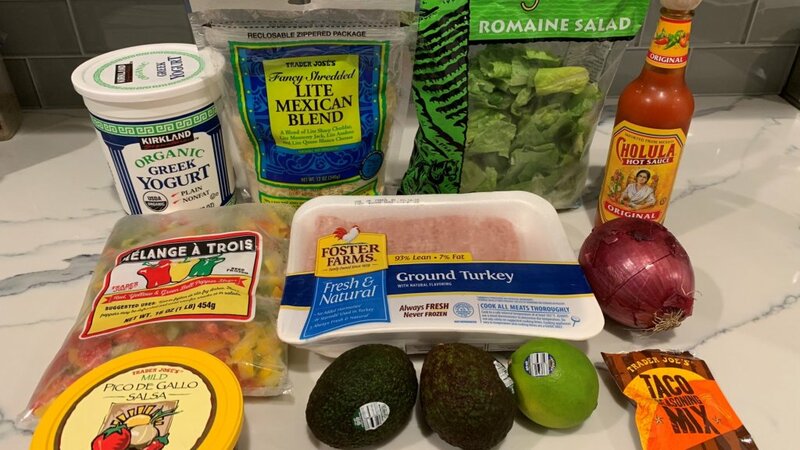 Looking for a quick and healthy taco fix? 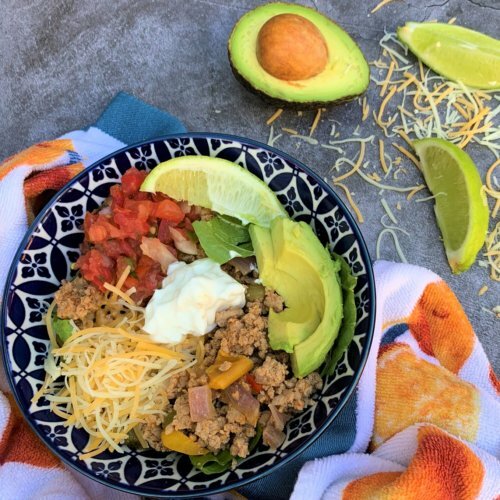 This ground turkey taco salad literally takes you 10 minutes from start to finish. You can find everything in this recipe at good ‘ol Trader Joe’s or at any local supermarket. This recipe is the best for those nights when you are starving and have little to no time. This recipe makes about 6 servings if you use approximately 6oz of ground turkey mixture. Per serving there are 259 calories, 12g fat, 9g carbs and 26g of protein. My bowl was comprised of about 1 cup of lettuce, 1 lime slice, 1/4 avocado, 1 tbsp of greek yogurt, 2 tbsp shredded cheese and a few splashes of cholula. 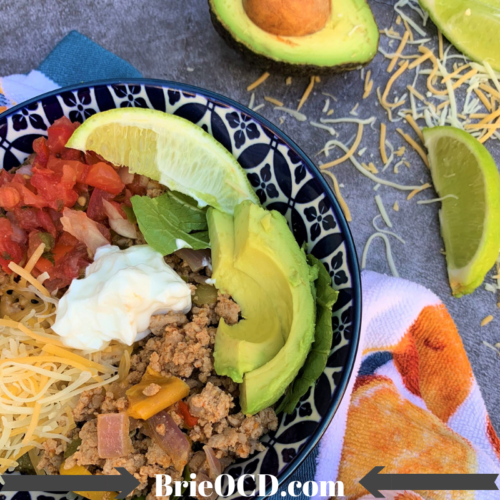 My taco salad is filled with lean ground turkey meat, veggies and avocado to give you that dose of healthy fat. I prefer ground turkey instead of beef. However, you could easily swap out the turkey for lean ground beef to give your life a bit of variety. You can also swap out the Trader Joe’s fire roasted veggies for 3 bell peppers and 1 onion. 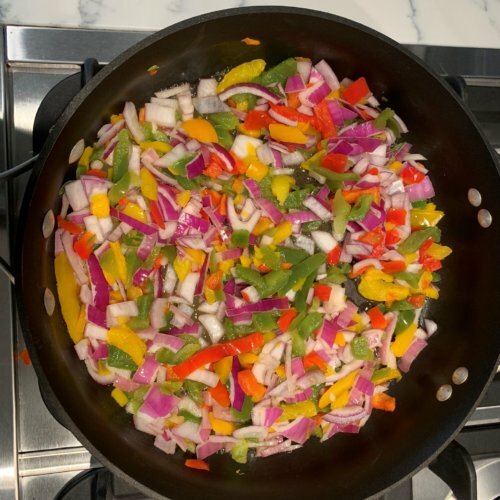 (please note: this will add minimal time to the prep) or a bag of sliced peppers and 1 small onion (see image below). Gluten-Free people beware! Many taco seasonings have gluten in them. Be sure to check the ingredients! Trader Joe’s taco seasoning is gluten-free (photo above). Please note: that one 1.3oz package is for 2 lbs of meat! 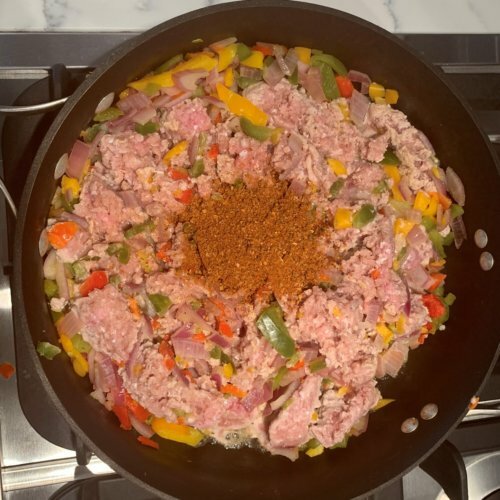 To be safe, you could also make your own seasoning by mixing together sea salt, cumin, cayenne pepper, cane sugar, paprika, onion, garlic, black pepper, red bell pepper, oregano, chili pepper, and smoked paprika. (geesh that sounds painful!). This recipe is also Keto friendly! Booyah!! 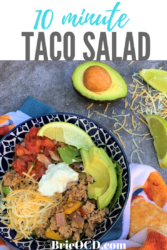 This recipe along with my 10 minute ground turkey tacos are among my favorites because they literally take 10 minutes to whip up. 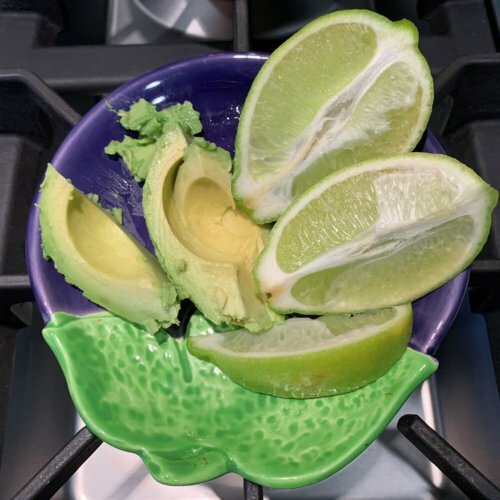 I love to squeeze fresh lime wedges on top to give it that extra zest! Some other Mexican favorites are Cilantro Lime Chicken Bowls, Burrito Bowl, Mexican Tostadas, Shredded Chicken tacos & bowls. Give em a try and let me know what you think! add ground turkey and break up meat with spatula. add taco seasoning and cook until no longer pink, approximately 5 minutes. stir occasionally. while turkey is cooking, slice lime and avocado.